Promising “8 hours of new gameplay,” Ubisoft has announced the Assassin’s Creed Unity Season Pass, which includes a new story campaign, new items, new missions, and a brand new 2.5D game called Assassin’s Creed Chronicles: China. The pass itself will cost $29.99, with all the content planned to be available by early 2015. Arno leaves Paris for Saint Denis, a troubled city with a mysterious and extensive underground that holds the crypts of deceased French kings. In this self-contained set of missions, players will explore the murky depths of the Basilica and fight merciless adversaries to uncover the darkest secrets of the city. Arno will equip the new Guillotine gun, a deadly explosive weapon for short and long range combat. In addition to the main missions, players will discover new open-world activities including treasure hunts, murder mysteries and contracts, as well as new co-op missions. 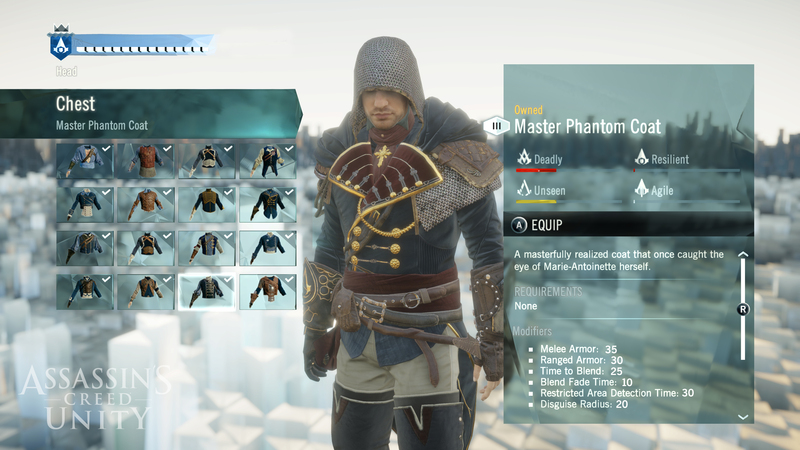 Additional weapons, gear, skills and outfits can be unlocked and carried over to the main game. Extend Arno’s journey in Paris with more missions, weapons, and customization options for players looking to further explore Assassin’s Creed Unity and the French Revolution. Players can upgrade their customized Master Assassin and take on three added missions. Additionally, players will get over 30 new weapons, equipment, and outfits, including the exclusive Fleur de Lys sword on launch day. A new stand-alone Assassin’s Creed experience delivering a new story, setting, and gameplay type. In this 2.5D reimagining of the celebrated franchise developed by Climax Studios, players will perform parkour on the Great Wall of China, kill from the shadows, and take the leap of faith. For the first time ever, players will be transported to the Middle Kingdom in the 16th century, where the last remaining Assassin of the Chinese Brotherhood has returned to her homeland. Players will be immersed in a vibrant setting, inspired by traditional brush paintings and Chinese architecture from a pivotal, historic time period in one of the greatest civilizations in history. Hell-bent on revenge, Shao Jun will use the skills she learned under legendary Assassin Ezio Auditore to exact vengeance. Players will be able to rely on stealth to accomplish their mission, as well as Shao Jun’s martial arts training and all-new Assassin gear. Anyone who pre-orders the Season Pass will receive the exclusive double-handed war axe. Assassin’s Creed Unity releases on November 11 in North America and November 13 in Europe for the PlayStation 4, Xbox One, and PC.